The Hyundai Creta Facelift 2018 was first showcased in 2016 Sao Paulo Motor Show. There is no concrete report of when will the car be launched. It will be launched in India in the 2018 mid. The Hyundai Compact SUV has receiver some changes that you would love. Lets have a look at all the aspects of the compact SUV starting for its exterior.. The Hyundai Creta Facelift 2018 also known as Cantus in some countries. There is a newly designed bumper at the front and the rear with different radiator grille surrounded with chrome and even more sleek fog lamps. The rear has newly styled tail lamp cluster coupled with chrome strip running between the bumper and the lamps. The car comes in both Petrol and Diesel version. It has a petrol engine of 1.6L producing the power of 128bhp and churns torque of 150Nm withSix-Speed MT or Six-Speed AT. The Diesel engine of 1.6L which produces the power 89bhp and churns out torque of 224 Nm with ix-Speed MT. The Diesel power engine of 1.6 which produces power of 121 bhp and churns out torque of 265 Nm with Six-Speed MT or Six-Speed AT. Talking about the dimensions of the car. It will come with the width of length of 4,270 mm, width of 1,780 mm, height of 1,627 mm, wheelbase of 2,590 mm and bootspace of 402 litres. The compact SUV has a ground clearance of 190 mm. The fuel tank has the capacity maximum of 60 litres. 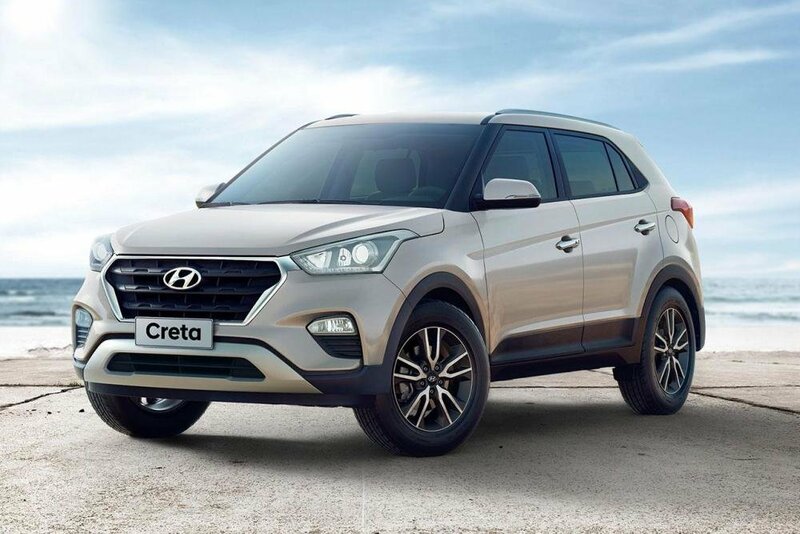 Th Hyundai Creta Facelift 2018 may come in some new colour. The existing five colour available in market are Phantom Black, Mystic Blue, Polar White, Red Passion,Pearl Beige, Sleek Silver and Stardust options. The car has a multifunction mounted steering wheel, a seven-inch touchscreen infotainment system, a stylish instrument cluster, dual AC vents on both the sides, ABS, EBD, Vehicle stability management (VSM), Electronic Stability Control (ESC). More safety and technical changes additions can be seen in the compact SUV. The facelifted Creta will compete against Renault Duster, Nissan Terrano, Mahindra XUV500, Tata Hexa, Renault Captur and the likes.